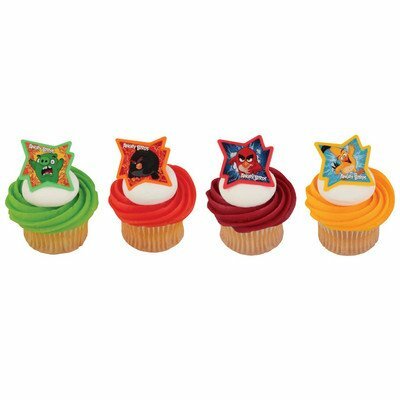 Hang out with your Angry Birds and the Bad Piggies, with our Angry Birds foil swirl decoration. Guaranteed to keep the party swinging all day long. 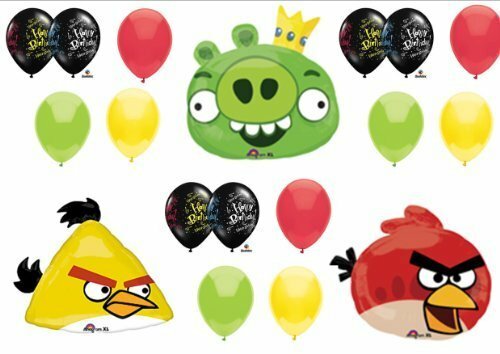 These NEW Angry Birds balloons are sure to be a hit at your party! You will receive: One (1) 23" Angry Birds Green Pig mylar shape balloon. 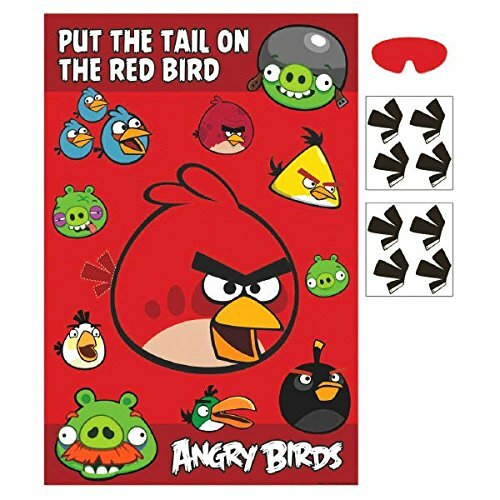 One (1) 23" Angry Birds Red Bird mylar shape balloon. 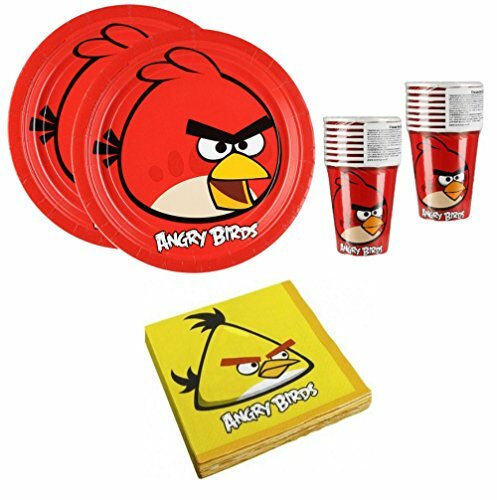 One (1) 23" Angry Birds Yellow Bird mylar shape balloon. Three (3) 11" Black Confetti Happy Birthday latex balloons. **NOTE--The picture shown is just to show the complete balloon....you will only receive THREE of these! Nine (9) 11" solid color latex balloons in red, yellow and kiwi. All balloons are new and shipped uninflated. Just add helium! 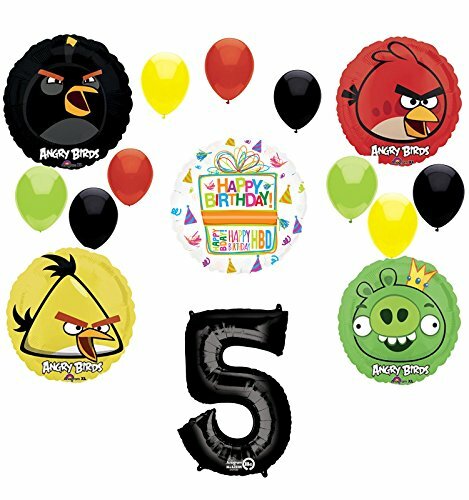 With This Kit you will receive: (1) 18" Black Bird Foil Balloon, (1) 18" Yellow Bird Foil Balloon,(1) 18" Red Bird Foil Balloon, (1) 18" Green King Pig Foil Balloon, (1) 34" Giant Black Number 5 Foil Balloon, (1) 18" Birthday Present Foil Balloon, (9) 11" Qualatex Assorted Color mix of latex balloons Red, Yellow, Green and Black. Just add Helium and ENJOY! 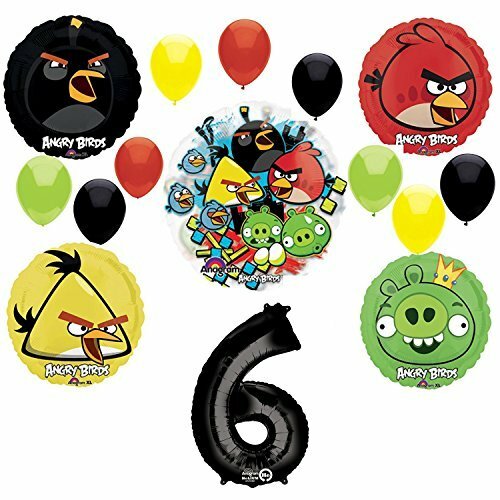 With This Kit you will receive: (1) 18" Black Bird Foil Balloon, (1) 18" Yellow Bird Foil Balloon,(1) 18" Red Bird Foil Balloon, (1) 18" Green King Pig Foil Balloon, (1) 34" Giant Black Number 6 Foil Balloon, 26" Angry Birds See-Thru Balloon, (9) 11" Qualatex Assorted Color mix of latex balloons Red, Yellow, Green and Black. Just add Helium and ENJOY! 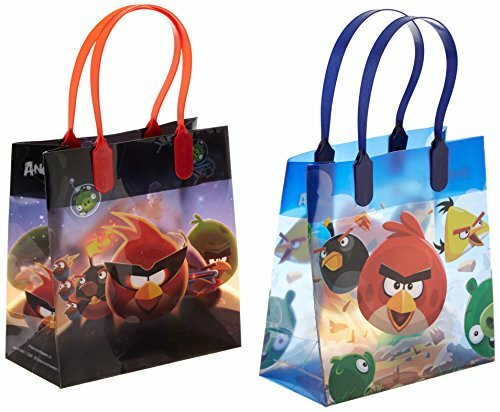 Angry Birds Collectible Figures are approx 1.5" tall. 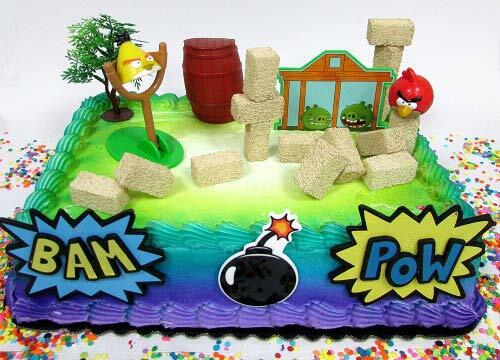 They are highly detailed film replica, from the Angry Birds Motion Picture.